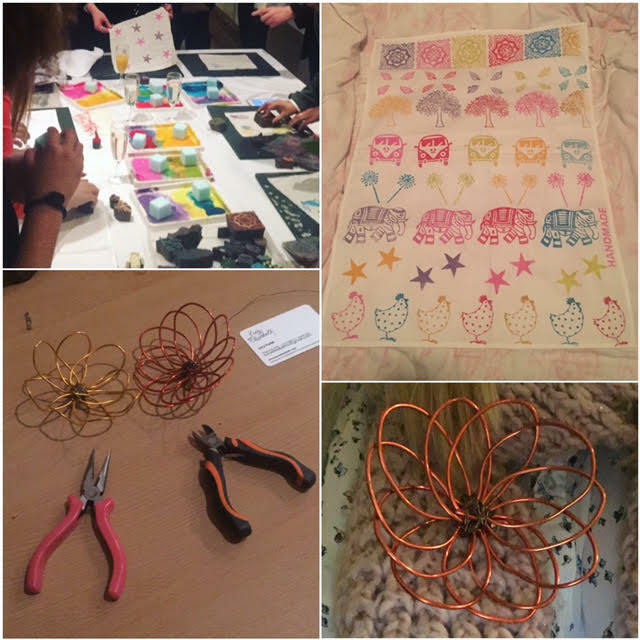 Not long ago, I was invited along to the Museum of the Jewellery Quarter in Birmingham to get crafty for an evening in celebration of The Handmade Fair! Since I was a child and would obsess over Art Attack, I have loved all things creativity. In fact, for a good few years I was going between either Journalism OR Interior Design to study at university. Although I did eventually choose Journalism, it doesn't mean that my love for getting crafty has faded away. In fact, it has probably made me more appreciative of the times when I do get the opportunity to get my hands messy and make something different. The Handmade Fair, which takes place at Ragley Hall in Warwickshire in May, has been organised by Kirsty Allsopp, the absolute queen behind some of my absolute favourite TV shows, like Location Location Location and Love it or List It. Of course, she also occasionally ditches Phil Spencer and presents her own crafty shows, which make a great watch on a rainy day when you want to get creative. During my evening at the Museum of the Jewellery Quarter, where I also took along my friend Gemma, we were given the opportunity to try skills and different kinds of craft. It was actually a very fitting location, seeing as the Jewellery Quarter is renowned for its craft history and Birmingham is after all, the city of a 100 trades. A whole bunch of us journo's and bloggers got stuck in with creating our very own pieces of art whilst enjoying a glass of bubbly and cakes - making it an incredibly enjoyable evening! The first task we got stuck into was Block Printing from The Arty Crafty Place, who came up from Oxfordshire for the event. Block Craft, which is inspired by the ancient Indian art of block printing, involves using hand carved Indian wooden printing blocks to create everything from curtains to cards look incredible. We were all given a tea towel and were talked through how to do it. The table was covered in different blocks, from elephants and tea cups to stars and roosters, and a wide selection of paints, which allowed us to create something individual. I chose to block in lines across my tea towel and I included five different colours and eight different patterns. It was so much fun creating and rolling up my sleeves and getting stuck in. The team from The Arty Crafty Place were lovely and although they would give you tips and advice, they weren't overpowering and too much, giving me time to really think about what I wanted my tea towel to look like. Afterwards, we headed over to the other table to get involved with some wirework. This at first seemed a bit more daunting that the block printing as, well, there were hammers on the table. Lets just say the most I use a hammer is to hang pictures up on my wall! The artist, Lucy Porter, who has her own company Lucy Elisabeth, came down from Cheshire for the event and talked us through the skill of wirework. After a few issues, mainly down to the fact that I couldn't keep up with my eye-hand coordination, I got going and it was actually a huge amount of fun. My final creation was a brooch, which looks a lot different than my normal kind of brooch, but I love it and the rose gold goes with a lot of pieces in my current wardrobe. After getting stuck in at the event in Birmingham, I can't wait to head along to Ragley Hall in May and get learning even more crafty skills. There are going to be live 'craft-offs', Q&As and demonstrations from over 150 exhibitors, artists and makers from all over the UK. There are also going to be workshops to get involved in, from willow weaving and upholstery to calligraphy. 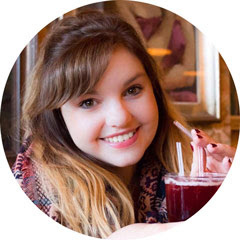 Kirsty Allsopp will be at the event herself on the first day of the fair and skincare specialist Liz Earle will take the lead on the second day. The fair will finish with Patrick Grant, British designer and judge on The Great British Sewing Bee. The Handmade Fair is taking place at Ragley Hall from Friday 12 - Sunday 14 May 2017. Tickets for the event can be found here.